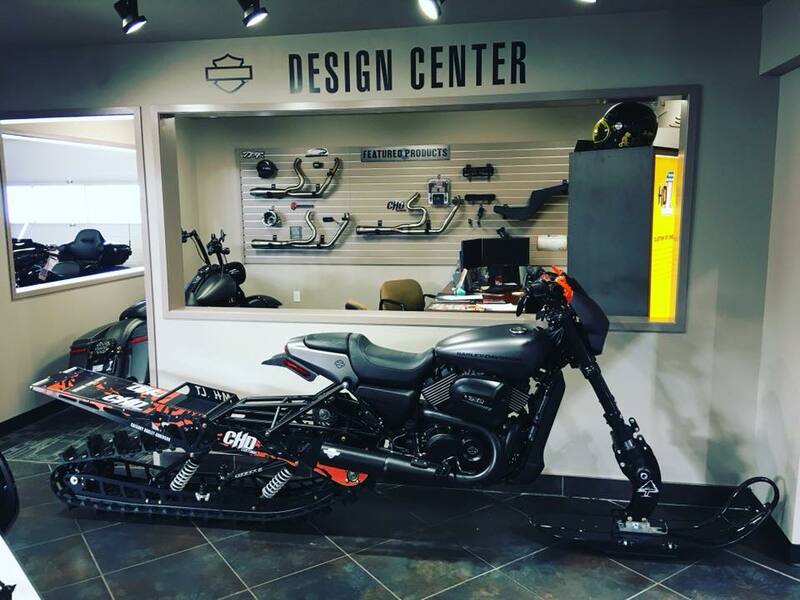 A couple of weeks ago one of the local Harley dealerships in Calgary offered up a “behind the scenes tour” of the facility to interested members of the public. I never need much of an excuse to head down there to check out the selection of new models, but being that Calgary was still firmly ensnared in “Father Winter’s” chilly grip, I jumped at the opportunity. My 13 year old son and I enjoyed ogling the dealership’s collection of Milwaukee hardware in the showroom along with the parts and service department and the dyno room too. The staff showed us some really exciting builds they were doing with the new Fat Bob and Road Glide 114 bikes. Trask turbocharged Milwaukee 8 engines, carbon fiber rims, Ohlins front suspension and talk of 300 hp Hogs were the highlight for me along with the Snow Rod. We ended the tour in the Harley Owners’ Group lounge. A comfy room adorned with a large taxidermied wild boar head, tables, chairs, a pool table, TV and wet bar. The staff gifted each person on the tour a complimentary HD T- shirt, which I’m not sure my son has taken off since. They were welcoming, friendly and no one felt pressured to buy anything the whole time. The dealership simply wanted to gather bikers in out of the cold together to celebrate the 115th anniversary year of Harley Davidson and the two- wheeled machines we share a love for. I’ve realised for some time Harley caters heavily to those who butter their proverbial bread, but this tour highlighted it for me once again. 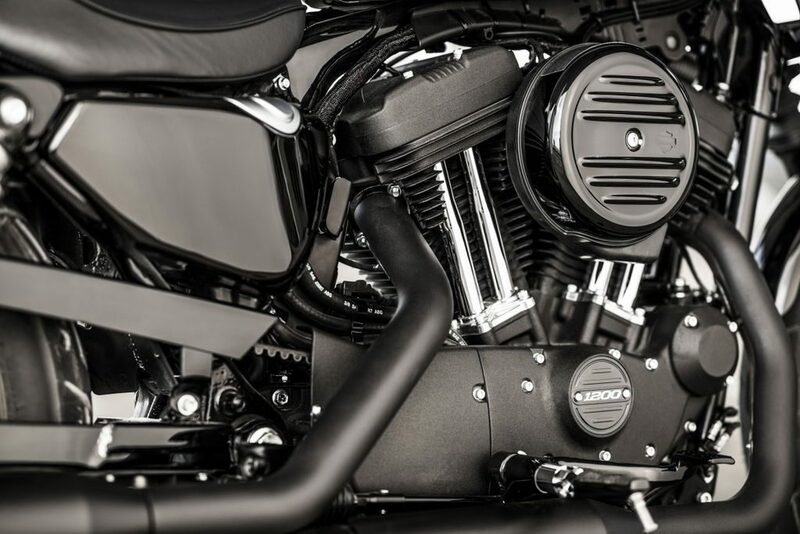 Why are things different on a Harley? It’s the style and personality of these bikes that instill so much brand loyalty, but it’s also the special treatment given to owners by dealerships. They’re doing this right, and better than any other brand of motorcycle, with BMW coming a close second with their MOA (Motorrad Owner’s Group). Association with the brand means adoption into a larger circle of instant friends in a way. 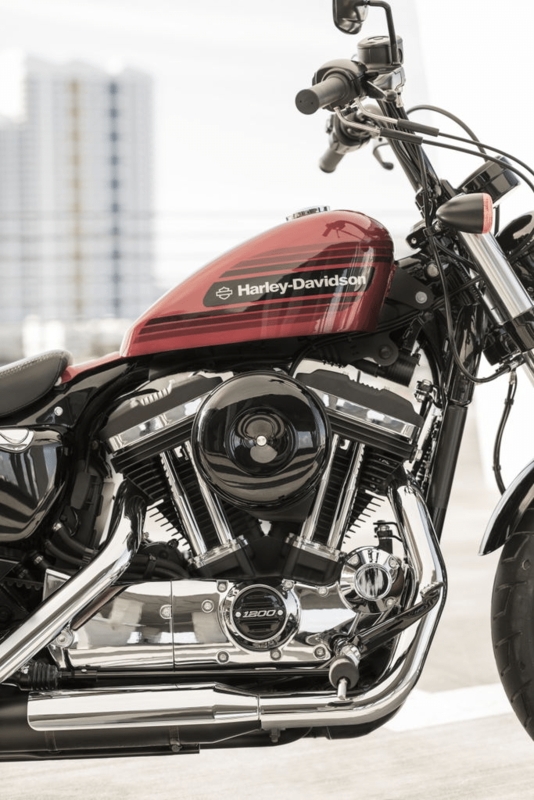 Harley for their part encourages it often by producing new bikes that reflect what existing owners want in order to encourage secondary sales more than to bring in fresh blood. 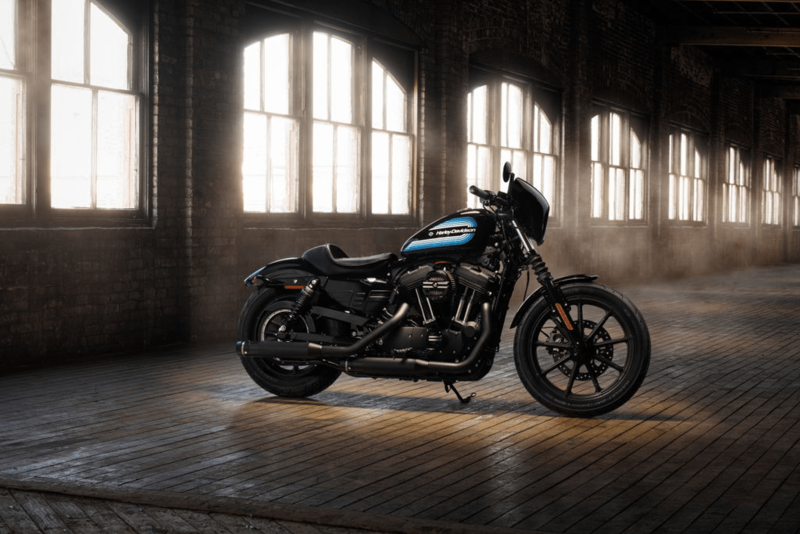 That is especially evident in looking at the two newest Sportsters for 2018: the Iron 1200 and Forty-Eight Special. They’re not new models so much as they’re old models with a new look. I was keeping an eye open for the new Iron 1200 and Forty-Eight Special on the tour, but was disappointed to hear they were still in transit and about 2 weeks away. I spent a little time with the other sportsters like the Iron 883 and the 115th Forty-Eight Anniversary instead. The first photo in this write up is of the special artwork found on the Forty-Eight Anniversary tank which I’m a big fan of. 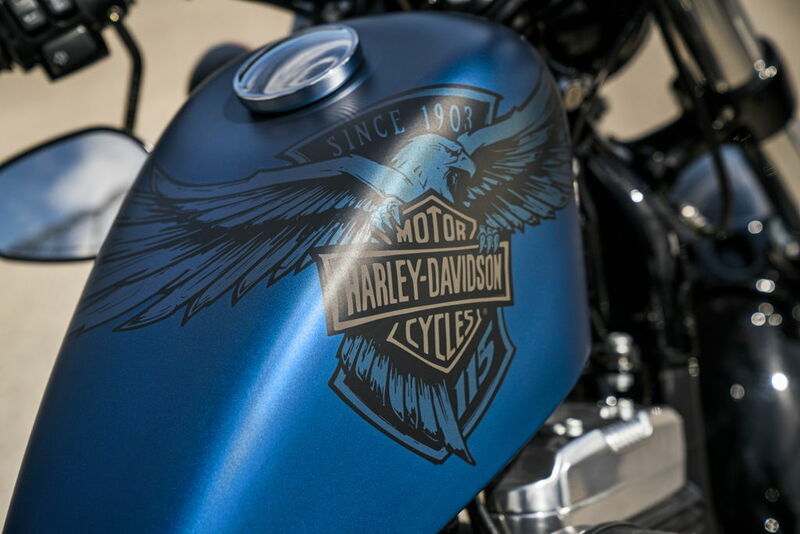 I love the styling and history of Harley Davidson Anniversary bikes. 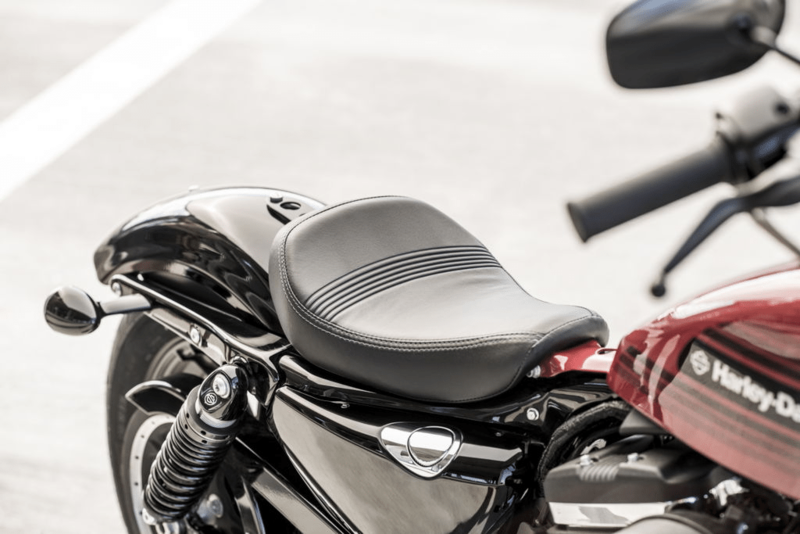 Motorcycle style is what they do best if I’m completely honest and that’s what the two newest Sportsters are about specifically: throwback styling. 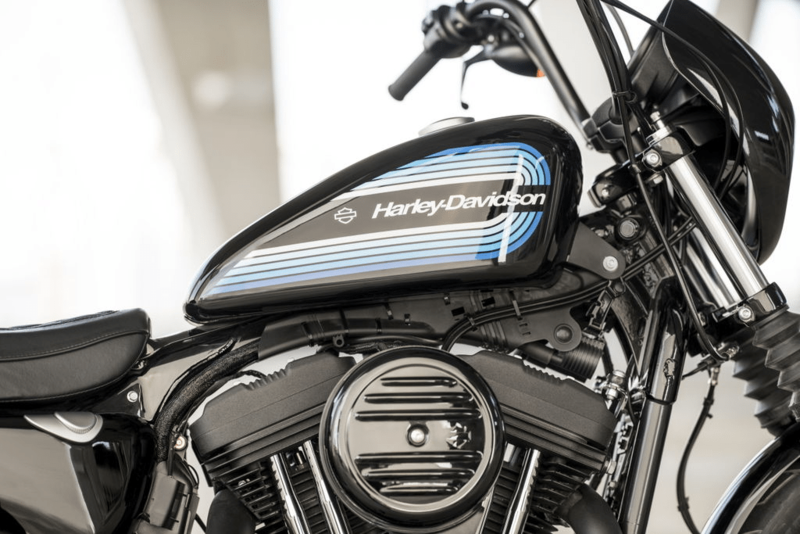 The Iron 1200 is a retro styled Iron 883 Sportster with larger displacement, tastefully blacked out engine, exhaust and basically all body parts other than a select few pieces like the forks and pushrod tubes. 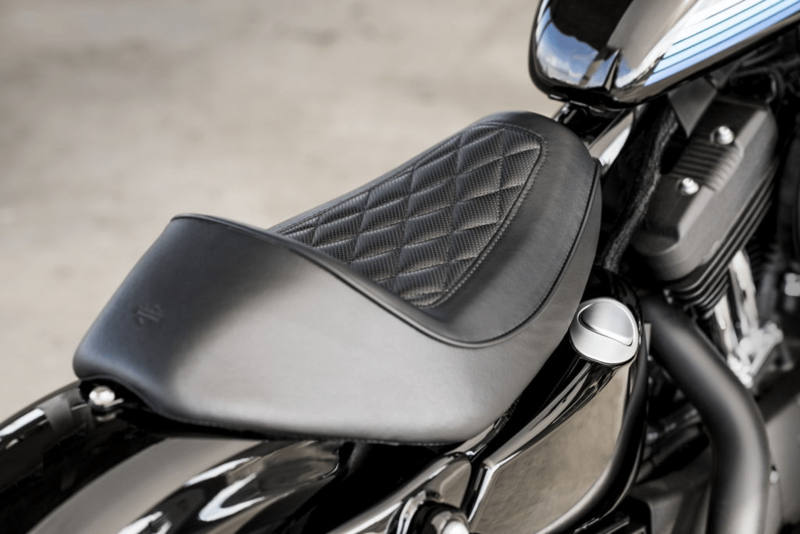 The bars are mini apes rising 8.75 inches high and swept back for a comfortable riding position. 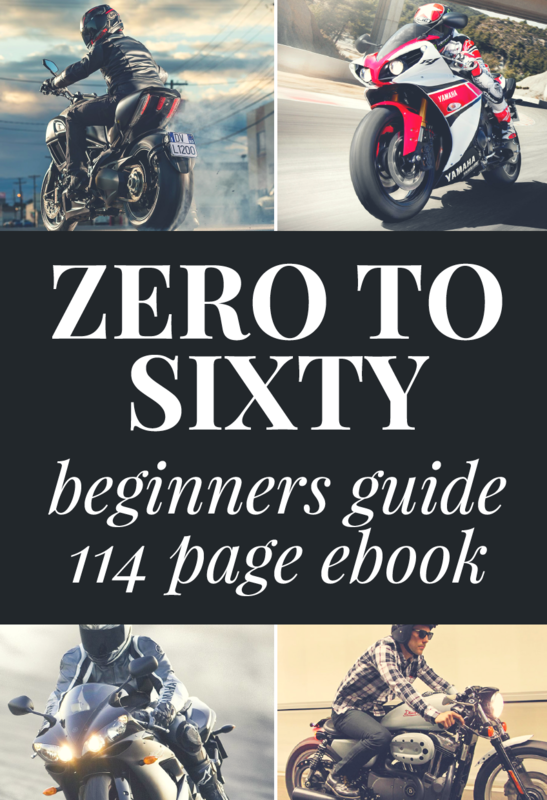 The 70s style graphics on the Iron 1200 tank are cool looking and play well on the growing trend among manufacturers the last couple of years to produce nostalgic motorcycles like the newer versions of the Kawasaki Z900RS and Honda CB1100. 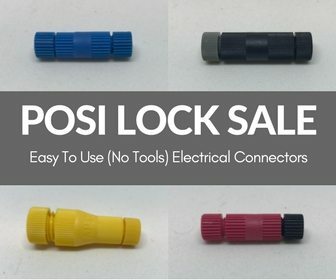 There’s a niche market to take advantage there to be sure. The Iron 1200 is available in three different colours: Vivid Black, Twisted Cherry, and Billiard White. 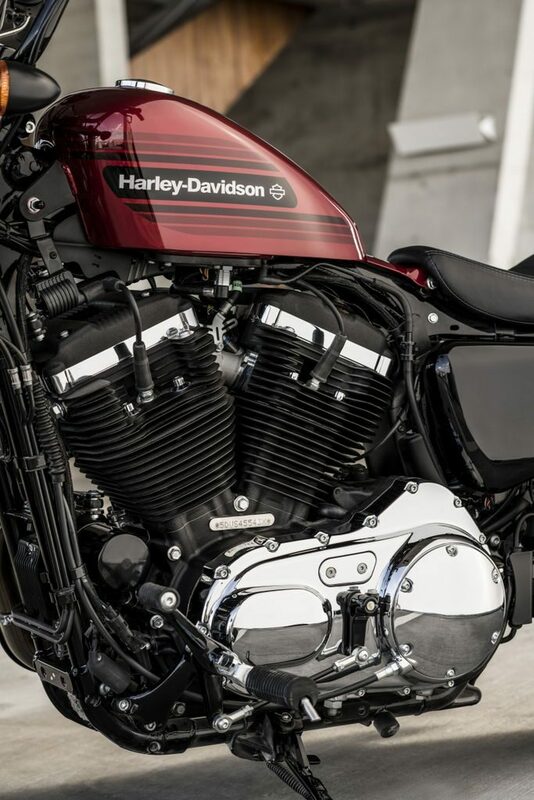 Harley claims a torque increase of 36% from the air-cooled, 1202cc Evolution engine over the Iron 883. 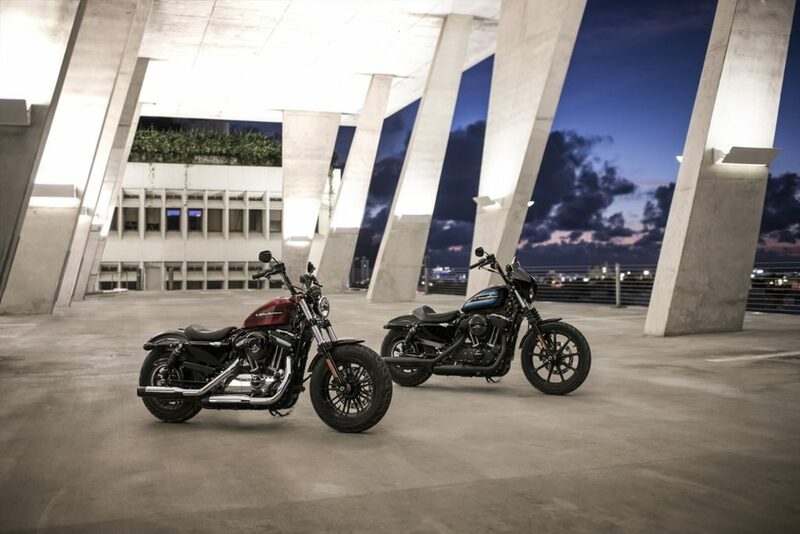 So both the Iron 1200 and Forty-Eight Special provide 73 ft lbs of tire twisting power to play with. In a 547lb motorcycle that should put a smile on your face for sure. The ultra- low seat height of 25.7 inches is great and very comfortable for shorter riders along with the narrow frame. The belt drive system is a positive for me in that I detest the hassle of lubing and adjusting chains and the mess that comes with it. I like looking for the small details on any of Harley’s bikes and the Iron has examples of those like the small flyscreen windshield, rubber boot chrome protectors on the forks, diamond patterned stitching on the solo seat and the bar and shield stamps and logos. ABS and a security system come standard on the Iron and Forty-Eight Special, but that’s it for options because these are bare bones, bobber style city riding bikes. There’s really nothing wrong with simplicity and many people are fans of a clean design. I’m not really one of them though. I like to have the bells and whistles even on a clean bike like this, but for them to be hidden from view as much as possible. You can always opt not to use the tech and features on a bike, but wanting it and not having it grates on me. I’m not a fan of the foot peg location on many of the Sportster bikes including the Iron 1200. I prefer my feet positioned more forward and for the life of me, I can’t understand the insistence of Harley designers to leave them mid mount on this one. I was under the impression that the goal with these two machines was to save owners the trouble and expense of aftermarket modifications everyone does to Sportsters? Surely they know by now forward controls are a given on their bikes, right? MSRP on the new Iron 1200 starts at $9,999. 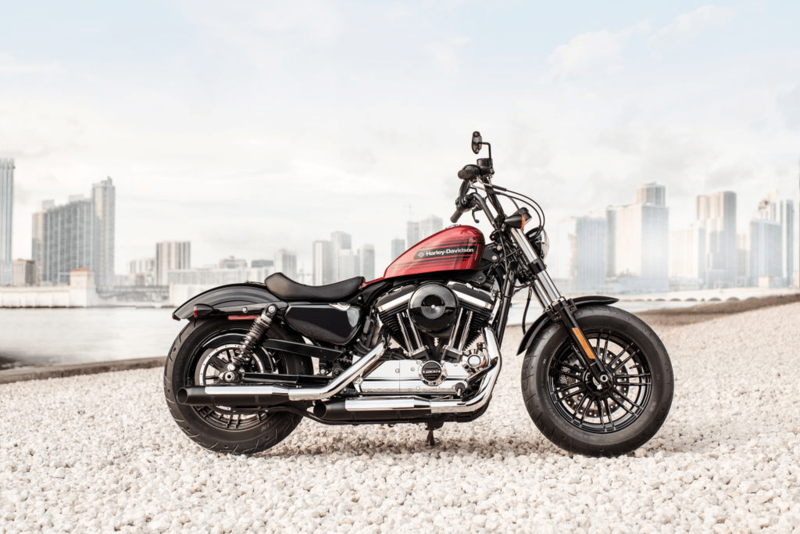 The Forty-Eight Special is quite similar to the Iron 1200. Same weight, engine, transmission and belt drive. The gas tank is smaller but does have retro graphics and paint. It has a solo seat as well, but the stitching is more subtle being a grouping of bars across running the width instead of a diamond pattern. It comes in three familiar colour schemes the Iron does: Vivid Black, Billiard White, but they changed the red to a Wicked Red instead of Twisted Cherry. The 48 Special does have more spokes in its larger rims and much chubbier tires and forks on it. The engine and exhaust are blinged out in chrome with some blacked out areas like on the cylinders. They put the Footpegs more forward on the 48 Special thankfully, giving the rider a more relaxed riding position. Do you think HD overheard me complaining and listened? The seat on the 48 is an inch higher and the handlebars (7.25 inches rise) a little lower than the Iron 1200. 48 Special pricing starts at $11,299. Does the extra chrome, forks, and rubber really add up to $2000 more? Other than that, there’s not much to say about the differences. These two bikes are definitely siblings in the Sportster family and Harley has sold tons of them over the life of the lineup. That means they know what they’re doing with these two new models, but they haven’t managed to charm me overly much, sadly. I prefer the Softail and Touring lineup a lot more for my riding needs. They just have a lot more to offer a rider like myself. I suspect fans of the Sportster line will like these two quite a bit though. Yes, to some extent I think the Sportsters are all good learning bikes although these new 1200 models have quite a bit of torque to be respectful of as a new rider. The 883 is probably the better option overall to start with, but if you’re a confident greenhorn I think you’d really enjoy life as a badass Harley Davidson owner.